For under $10 and only a year's wait, you too can make a good mead. Simple and easy, the only thing requiring a lot of is patience. 3 pounds of honey. For about $8.00 I purchased a 3 pound jar of Clover honey from BJs Wholesale Club. Water, from the tap if good. I get mine from the filter attached to the refrigerator. Sanitize the interior of the carboy and the airlock and stopper. Pour about 1 pound (estimate) of honey directly to the carboy. Add some water to the carboy swirl to create a mixture. The stem of a racking cane can assist to mix the honey and water together. 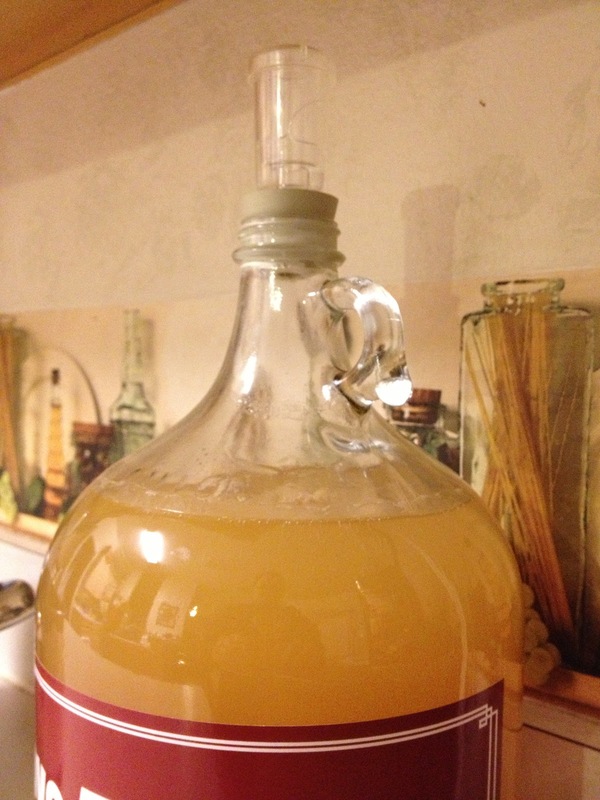 Continue by adding the remaining honey, topping off with water until the carboy is mostly full. Leave some room for fermentation activity (not sure how much will be needed just yet). Add the yeast nutrient . shake it up good to complete the mixture. Pitch the hydrated yeast, add airlock, and wait. Prior to pitching, I took a gravity reading, measuring at 1.111. The next day, the airlock was pulsing nice and steady. This is my first attempt at mead. 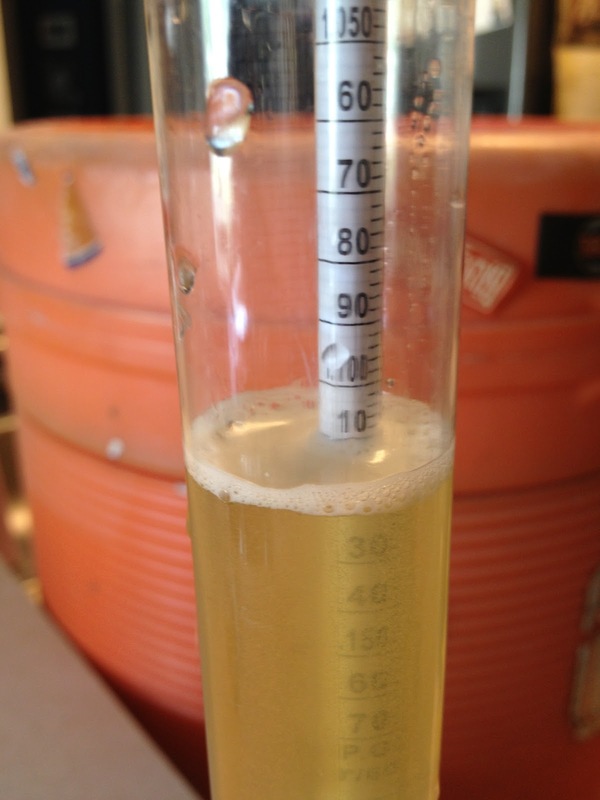 After several months, perhaps, I'll have a sense for the final gravity, and after a year it should be good to drink. I've actually read that mead is at its best at the 2 year mark.